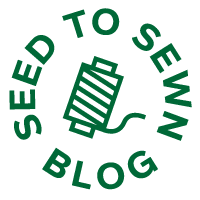 Now that we've reviewed the 12 essential's for a woman's closet, it's time we switch gears and provide all you eco-conscious men some options as well. Maybe you're not particularly eco-conscious, but are perhaps chemically sensitive, allergic to certain materials or substances, or health-conscious. Whatever your reasoning may be, adding these 12 organic items to your wardrobe will make your life a whole lot easier. Each of these items is an important article of clothing for all men, no matter your lifestyle. Switching to organic versions of your favorite wardrobe pieces will improve both your health and happiness, and our essentials are a great place to start. These are the pieces that you will mix and match with the rest of your wardrobe on a daily basis. They're the staples that you will wear over and over until they're in tatters, as you'll have at least one if not combination of these on every single day. Your hunt for ethically-produced and chemical-free clothing is over. Read on to see our list of the 12 must-haves for a man's organic wardrobe. All products are organic and made sweatshop-free by Rawganique. We all need that one coat to rule them all. Something ideal for layering, and of course keeping warm. I recommend our Park Lane Organic Hemp Jacket. It's thick and cozy, sturdy enough for outdoor work, but also easily dressed up for more formal gatherings. The jacket is made out of hemp fiber, which has hollow cores and is effective at insulating - using your own body heat to keep you cozy. Available in Oregano and Black. 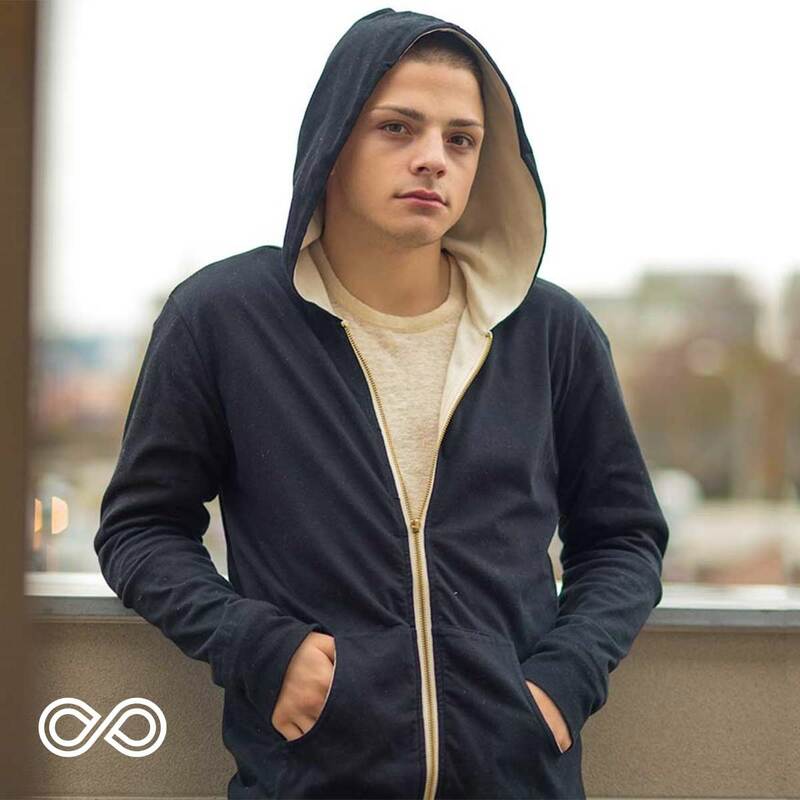 Who would have thought you could get your favorite zip-up hoodie made from all organic materials? Our Brighton Beach Organic Cotton Zip-Up Hoodie is the perfect substitute for your traditional zip-up. You won't even be able to tell the difference. Functional, fashionable, and chemical-free. Featuring a dual-tone cotton jersey knit fabric that is soft, stretchy, and comfortable. Available in Black and Rainforest Charcoal. Of course you'll need both a long-sleeve and short-sleeve t-shirt. As simple as these items are, they still need to be perfect. 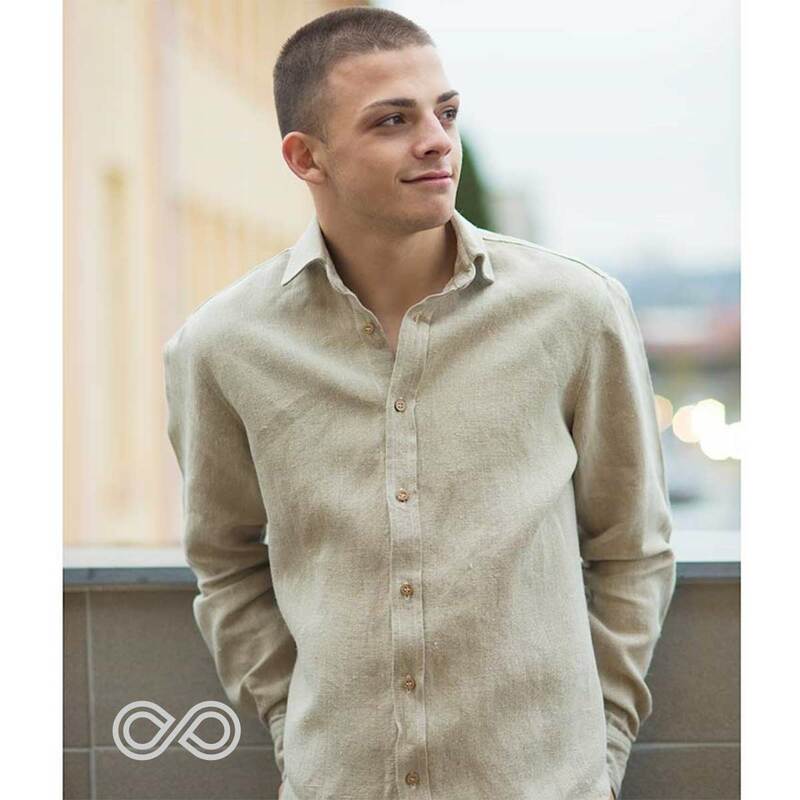 For the long-sleeve, check out our Stravinsky Organic Linen Knit Shirt. Linen fibers also have hollow cores, making this shirt perfect as an insulating base layer during colder months, or just to wear by itself. In summer, the linen fibres wick away moisture at a fast rate, keeping you cool and dry. Available in Natural, Oregano, and Oak. The short-sleeve t-shirt is a crucial item, as you need one that is extremely versatile and comfortable. You will be wearing it layered as an undershirt, and by itself. The Bel Air Organic Hemp T-shirt is stylish and comes in classic earth tones that will go with any outfit, for any occasion. The primary function of your go-to button-up will be more formal occasions, so you need something that looks classy. However, spending long periods of time in a button-up can be tiresome and constricting. 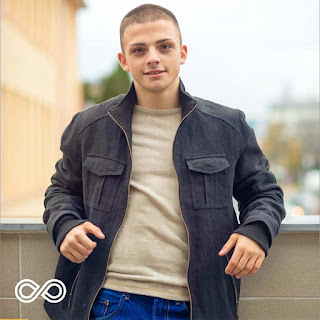 So, it's important that your button-up be comfortable enough to be worn in any circumstances for long periods of time. 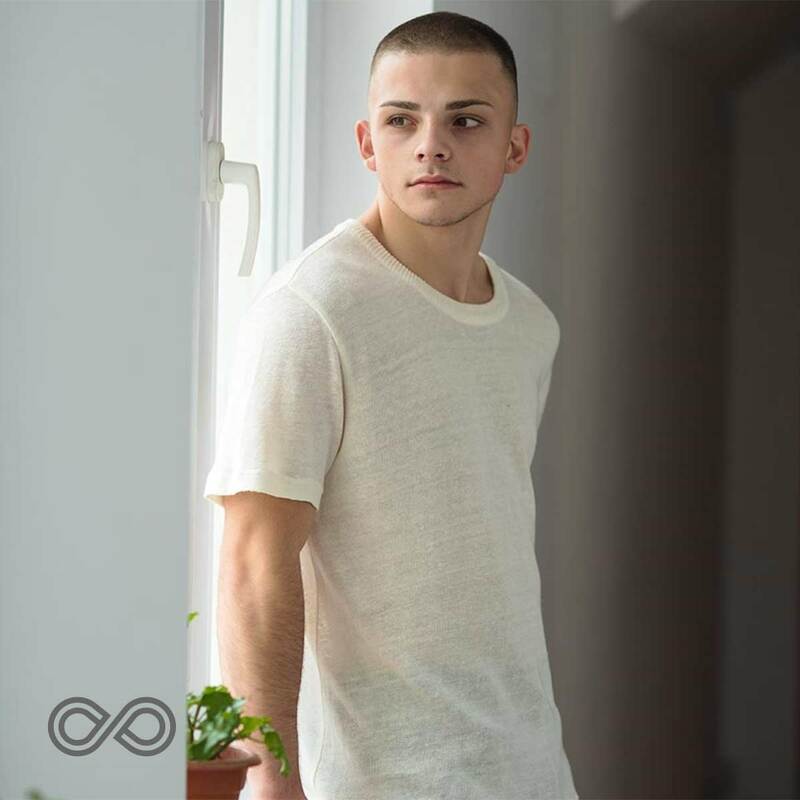 Try the Raphael Organic Hemp Painter's Shirt. It looks sharp tucked in, and casual untucked. The natural color looks fantastic with a pair of black slacks. Every guy needs a pair of cozy sweatpants to wear around the house (or in public, if you're feeling bold). 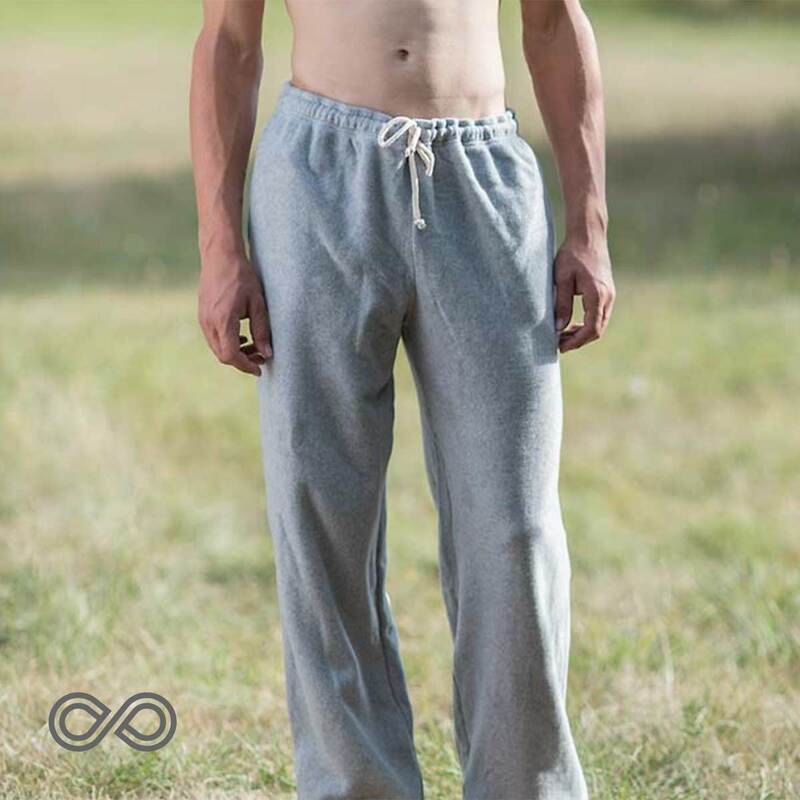 The Clint Organic Cotton Fleece Sweatpants are made from 100% organic cotton fleece, which means no plastic, and no synthetic microfibers being released into our waterways. 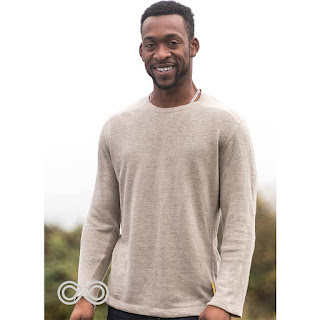 These pants are SO soft and plush, and come in natural (unbleached, undyed), black, and grey. The bonus? Rawganique's exclusive 100% organic cotton fleece is brushed on both sides for ultra softness and coziness. Blue jeans are a must for everyday activities. 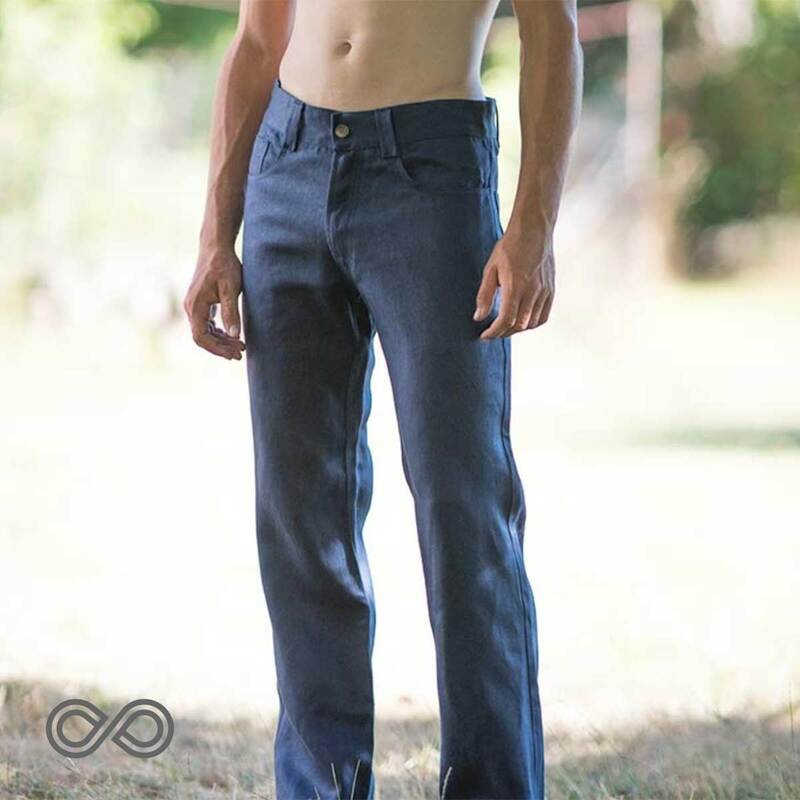 The Saint Germain Slim-Straight Organic Hemp Jeans are casual and stylish, and made from hemp! Who else do you know that has a pair of jeans made from organic hemp? They truly are unique and something to brag about. The low-rise waist and slim straight cut makes them sleek and fashionable, perfect for a night out on the town or casual Fridays at work. Undergarments like boxers are very important to switch to organic, since they are constantly in contact with your skin and sensitive areas. Our Mozart Organic Linen Knit Boxers are made from the softest, most luxurious organic linen knit fabric. They are the perfect balance between boxers and briefs, providing plenty of breathing room without being bulky. Featuring an elastic band covered by organic fabric, and a drawstring. The bonus? 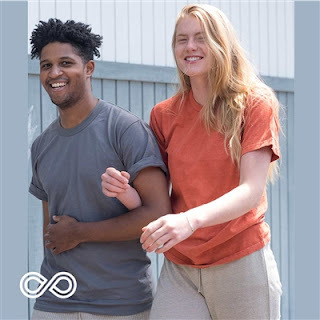 Linen is legendary for breathability - these organic linen boxers will keep you dry throughout the day and night, no matter the time of year. 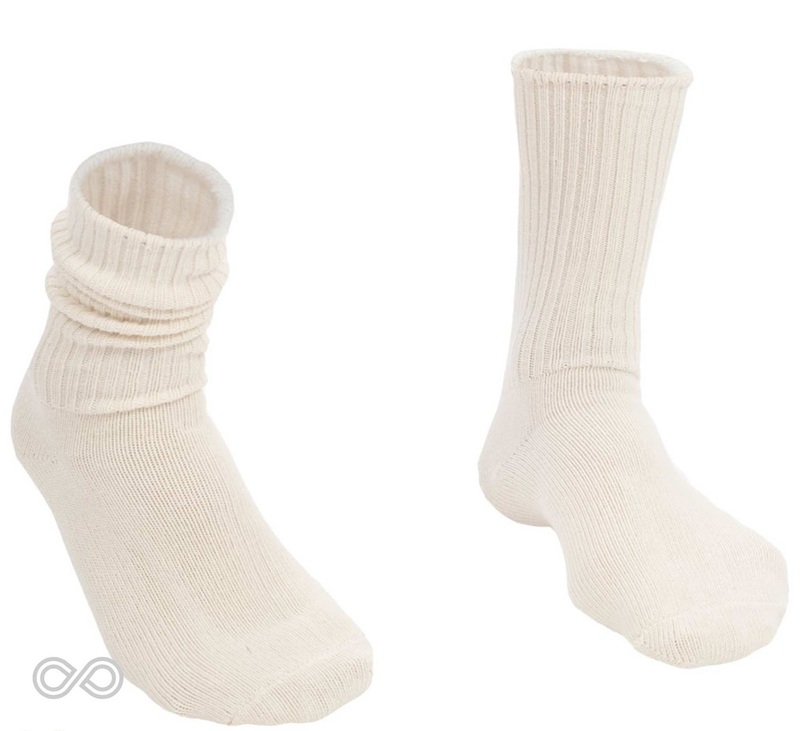 While socks may seem insignificant, the comfort and performance of your socks can truly make or break your day. Plus, being an undergarment, it's important for your health that they be organic and have as little synthetic materials as possible. The Gettysburg 99% Organic Cotton Classic Crew Socks come in every possible color that you could want, and are made from organic cotton. They offer just enough stretch to be fitting and supportive all day. Browse our vast color selection on our website! Every man needs some snazzy dress shoes for special occasions. Every man also knows how uncomfortable and confining dress shoes tend to be. They trap moisture, making your feet sweat all day. No more! 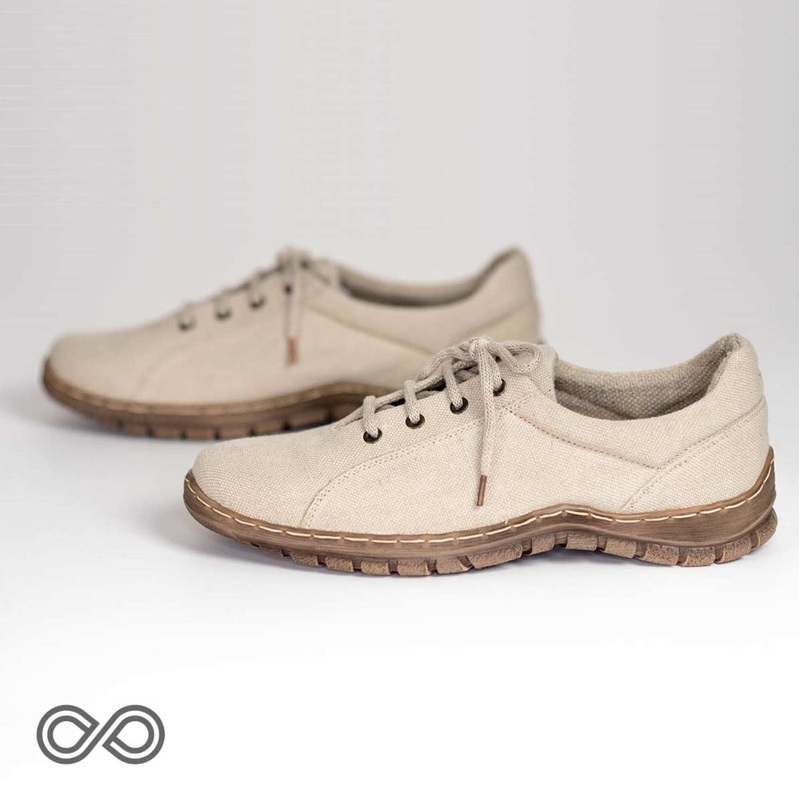 Switch to the Oxford Organic Hemp Dress Shoes for a breathable formal experience. 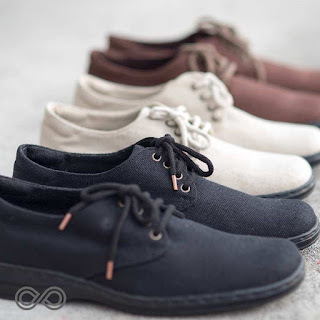 Hemp fibers will wick away moisture and keep your feet comfortable and cool even in the most stressful circumstances. And boy, do they look sharp. Sneakers are a touchy subject, because everyone has their own style preferences and tastes. Overall, your sneakers should be comfortable enough to be worn on casual outings and for light activity. But these will be your everyday shoes and need to look good with everything. The Long Beach Organic Hemp Sport Shoes offer two different styles of soles (depending on your size), and a variety of colors. They're perfect for every outfit, and every activity. From working in the yard, hiking in the hills, or trudging through the elements, boots are an essential. The Madrid City Lugger Organic Hemp Boots are a stylish take on your everyday boots. These special vegan hemp boots feature a lugged sole for traction and support, and are made of organic hemp for breathability and comfort. The hemp fibers will mold to the shape of your foot over time. 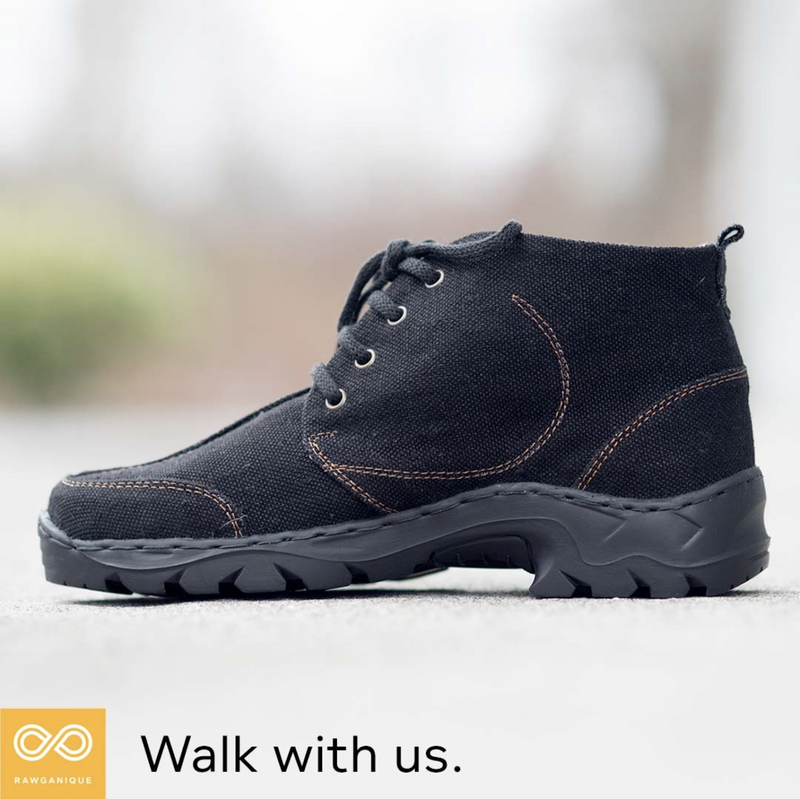 And even when you're hiking in desert heat, the boots will breathe away moisture from sweat. Hemp is the original smart fiber. If you're coming from leather or synthetic boots, you're in for a real treat!